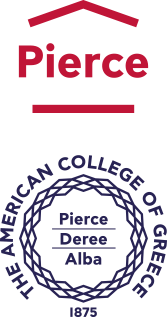 The American College of Greece | 20-Year Record Broken by Deree Athletic Club Swim Team! Home » News & Events » News » 20-Year Record Broken by Deree Athletic Club Swim Team! 20-Year Record Broken by Deree Athletic Club Swim Team! 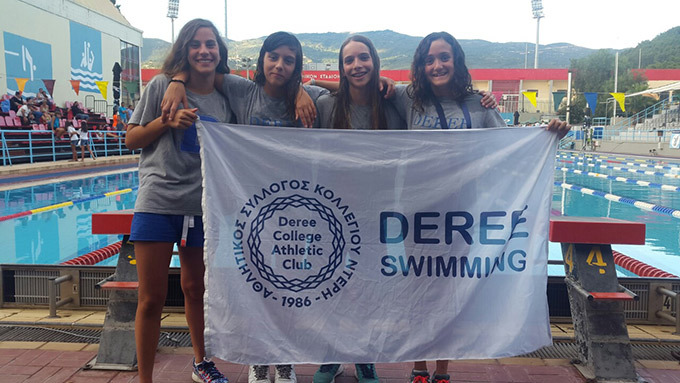 The longest standing record in the Pagkorasides B’ category (13 years old) in Greece was just broken by the swim team representing the Deree Athletic Club! Over 1,100 young swimmers from 120 clubs and associations in Greece gathered in Volos for the National Junior Swimming Championship (Πανελλήνιο Πρωτάθλημα Κολύμβησης Παμπαίδων-Παγκορασίδων Α’& Β’) on July 14­-17. The team of Chrysoula Mitsakou, Olympia Kirmoutseli, Danai Kaprini, and Ioanna Georgopoulou completed the 4x100m freestyle relay in the impressive time of 4:12.46, breaking the record held for 20 years by the national team (4:13.34) since June 22, 1996. Congratulations on an extraordinary achievement!